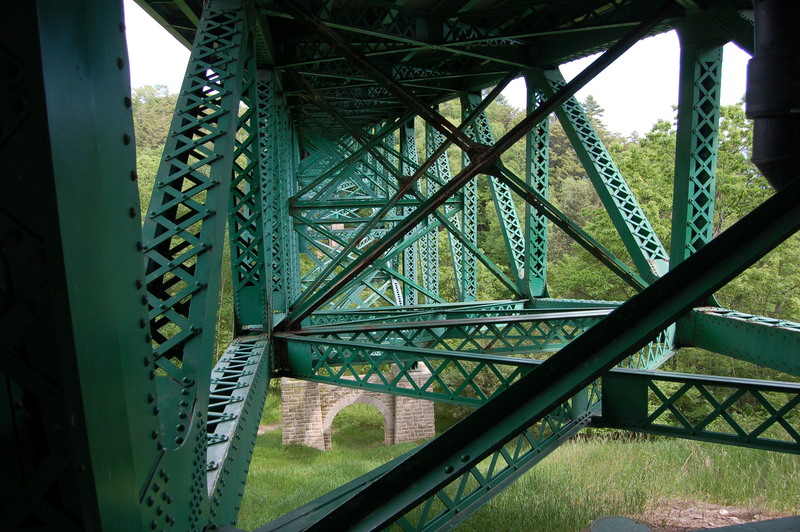 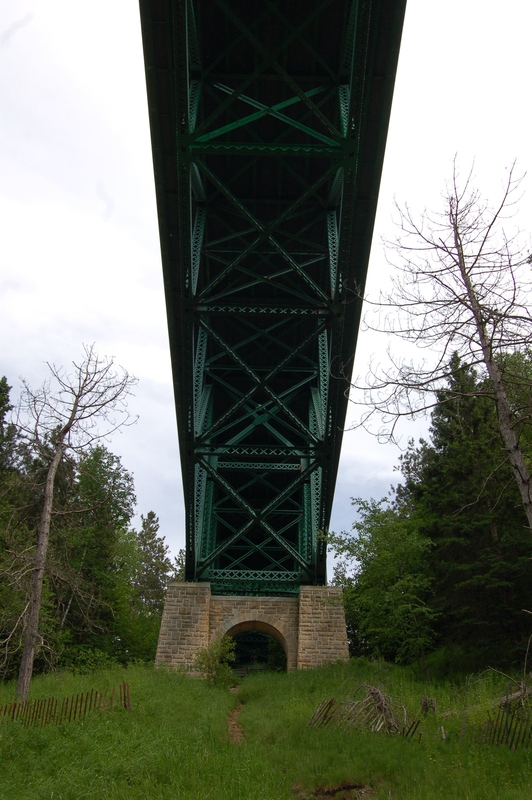 In an earlier post we featured the Cut River Bridge, a historic bridge and engineering landmark on US-2 in Mackinac County. This Upper Peninsula bridge carries the highway over the Cut River Valley, and is one of only two cantilevered truss bridges in Michigan. 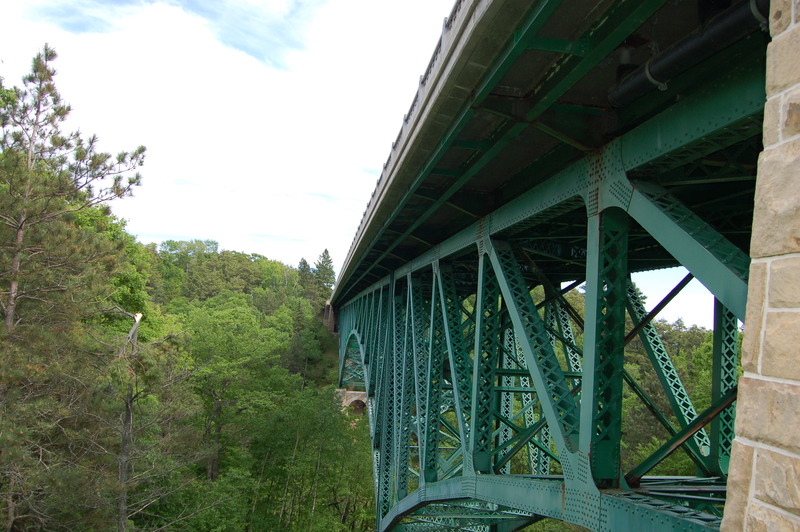 While the bridge may not look all that impressive as you drive over it, the views from below on a short hiking trail are really something to see. 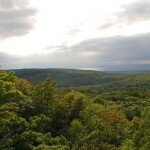 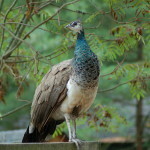 This is an excellent area to check out in the fall, when the various trees in the valley below create a colorful panorama easily viewed from the bridge’s deck. 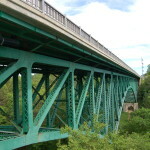 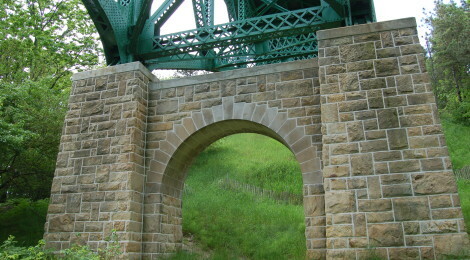 The Cut River Bridge is 641 feet long and was constructed in the 1940s. 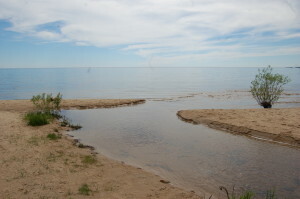 There are roadside parks at each end of the bridge that lead to the Cut River Bridge Trail that loops around below the bridge, leading to a beach on Lake Michigan and then back up to US-2. 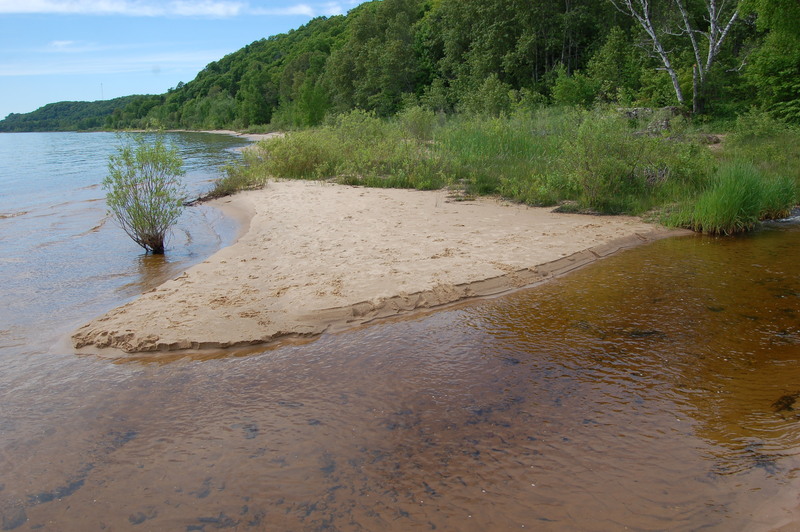 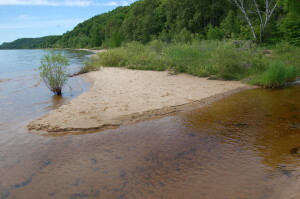 After crossing the river, beach access is easy and there likely won’t be another person around. 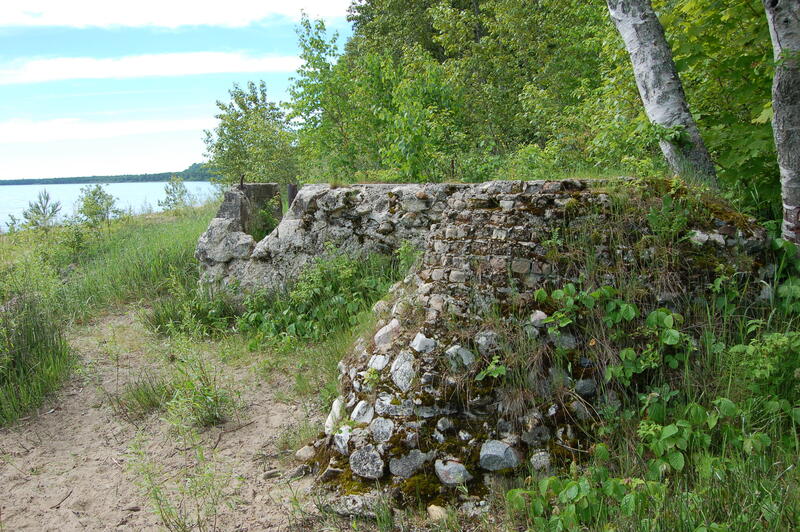 We found a few remnants of either an old bridge or structure here. 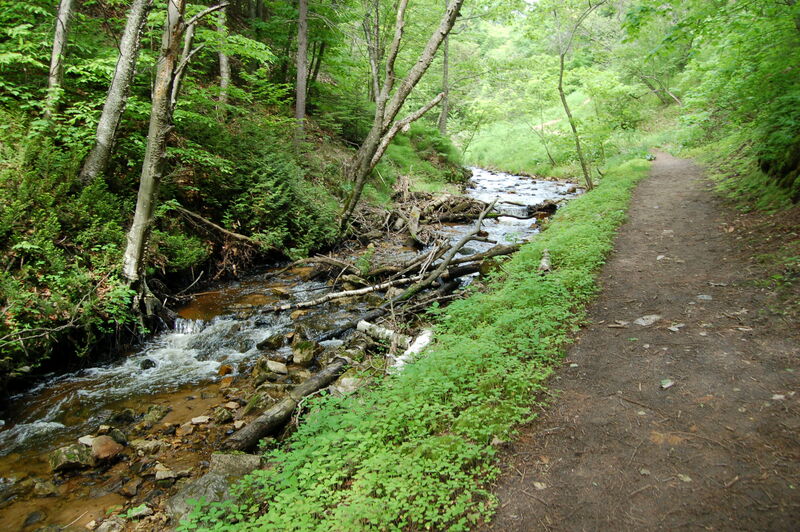 The footpath continues along the opposite riverbank, working its way back up the incline to the highway. 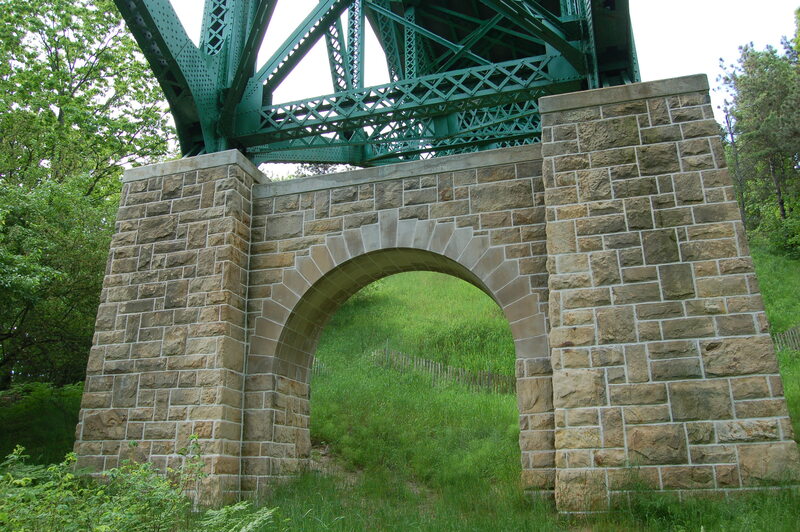 Take the time to pass under the bridge and enjoy its architecture before the path heads away from the bridge and levels out a bit. 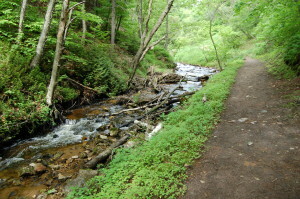 The path continues its gradual incline through a wooded area, and it eventually ends up at the rest area on the bridge’s northeast corner. 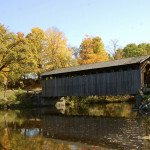 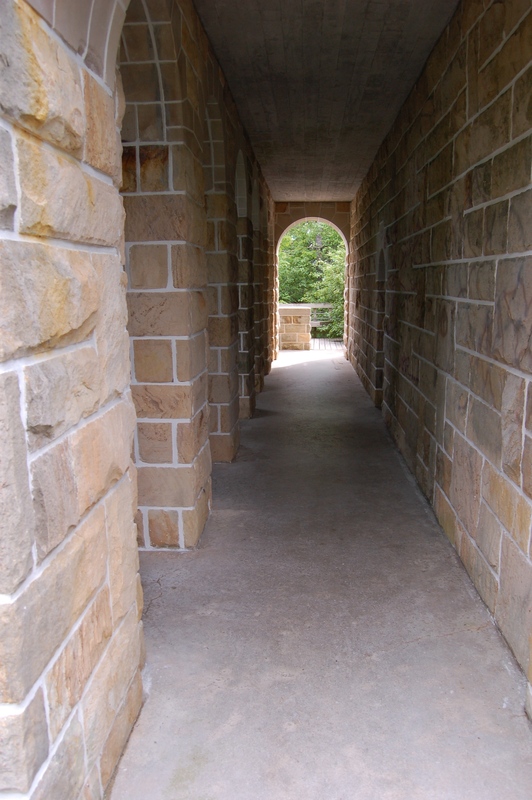 To get back to the starting point, cross the bridge on foot (and enjoy the excellent panoramic views) to the rest area on the bridge’s southeast corner then cross to the opposite side when traffic allows. 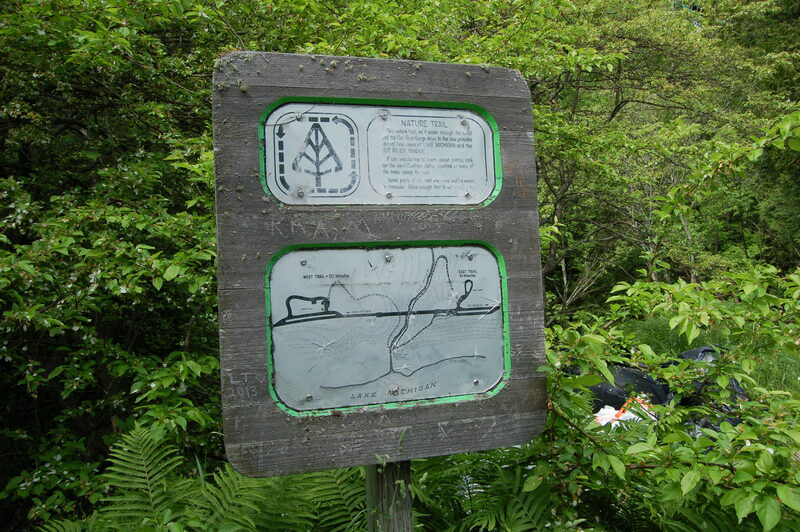 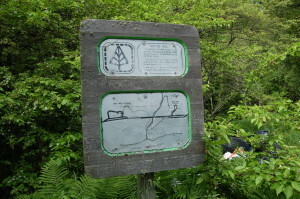 Total hike is anywhere between 1.5 and 2 miles, depending on how much of the loop you choose to do. 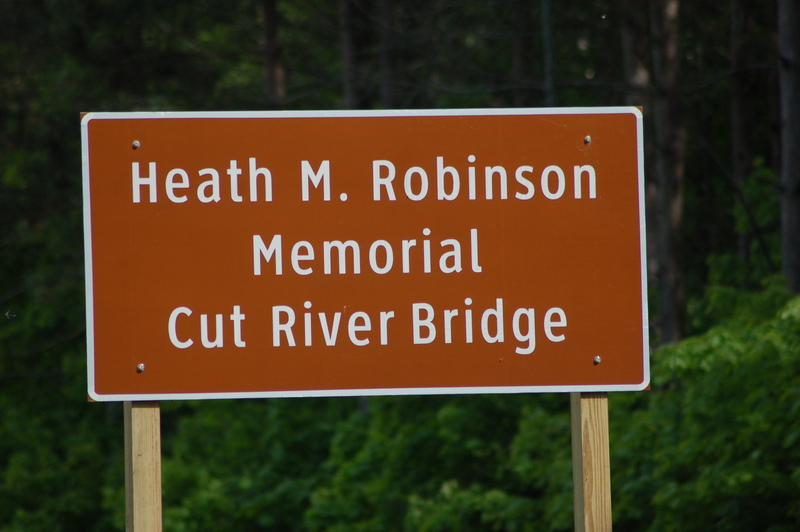 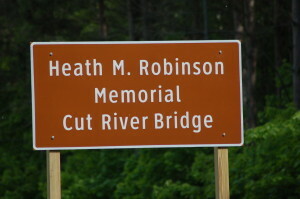 Each rest area has a marker noting the renaming of the Cut River Bridge in honor of Heath M. Robinson, a Navy SEAL who was killed in action in Afghanistan in 2011. 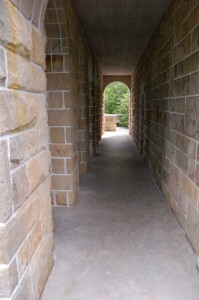 A ceremony in 2014 denoted the change.